I have decided to make every Monday “Healthy Work” day here at The Daily Mind. Today we will be looking at all things “tea”. I want to tell you about the different types of tea, where it came from, the health benefits and problems associated with tea as well as a few tricks I learned about tea in India. If you drink tea everyday but don’t really know much about the effects it has on your body then this article is for you. Tea is the most popular drink in the world. It has been drunk for thousands of years and is thought to have originated in China when some tea leaves fell into the Emperors water. Since that time tea has been used in many different ways and at some points in history it was so valuable that it was used as currency. It has been used by doctors to treat disease and is thought to improve longevity, vitality and general well-being. All of these teas come from the same plant called the Camellia sinensis and are given different names only after certain cooking or preparation methods are carried out. Green Tea is pan fried or steamed to prevent the leaves from oxidizing or fermenting. Oolong Teas are the most expensive because they are semi-fermented and made in a more elaborate method. The color of this tea is usually a light yellow. Black Tea is the strongest tea of them all the the type we are most used to drinking in the west. It is fully fermented and has up to three times as much caffeine in it than the other teas. White tea is quite rare and is made from the white buds of the tea plant as opposed to the green tea leaves. It is a clear white color and much finer. Pu Erh Tea is chinese tea that has been fermented twice and then left to grow mold on it. It is said to have strong medical properties. There are also herbal teas like you find in a Chinese Doctors Shop but these are not really teas as they are not usually made from tea leaves but other types of plants. There are now also some infused blends of tea where other flavors have been added. The studies are now pretty clear – if you drink a lot of tea you are less likely to get cancer. And not just a little bit less likely, a lot! If you drink about four cups of tea a day you are up to 60% less likely to get cancer thanks to the antioxidants in tea leaves. That is an amazing statistic. The studies have really only been done with Green Tea but others are currently underway. White Tea is supposed to be even more effective from a traditional point of view and there is some scientific evidence to support this fact. I personally would love to see more studies done on Oolong Tea as it has the added benefits of the mold growing on it. One of the notable effects of tea is that it helps you concentrate and focus. This is important for all of us who are sitting on a computer trying to stay on track with some really boring data analysis. This effect is said to be due to the amino acid L-theanine which gets absorbed in your gut and travels in the blood to your brain. This results in a more awake you! The thing that is really cool about this is that tea doesn’t make you get all hyper like coffee does. It is a calming drink that wakes you up without over stimulating. Tea is supposed to be a very strong immune booster. Those people who drink tea on a regular basis are supposed to be more immune to the cold or flu that is going around at work as well a some other minor health problems such as infections. If you are reading this post at work then chances are you are pretty stressed. The good news is that a cup of tea helps you fight the physical signs of stress by reducing the stress hormone in your body. For more ways to beat stress at work head over to our stress section. Many studies have confirmed what the Chinese doctors have been telling us for centuries – tea boosts your metabolism and helps you lose weight. Drinking a few cups of green tea at work (without the sugar) can have a really good effect on your waistline. Now that we have look at all the nice things tea can do it is a good idea to take a look at whether tea will cause your body any harm. Before making any decision about your health it is important to weigh up the pros and cons of the argument and then make a decision based upon good information. To rant on about the magical qualities of tea without talking about the potential drawbacks would be irresponsible. Many people (myself included) are very sensitive to the effects of caffeine. If I have a tea or a coffee within four or five hours of my bed time I will have a lot of trouble getting to sleep. If you are having sleep problems already it might be a good idea to take a look at how many teas you are drinking. Many people do not realize that tea is quite high in caffeine and too much tea can affect how well you sleep. However, your sleeplessness might be caused by other things. Take a look at this post about stressed sleep. Some scientific studies have shown that the oxalates in tea can cause some kidney damage. However, this has only been shown in people who drink a lot of tea – a lot more than most of us drink. Although there other drawbacks associated with tea none of them have been definitively proven by science. The main message is that excess is not a good idea. If you are drinking more than about four cups of tea a day you are more likely to have some negative effects. Here are some other tips I have picked up about how to make sure your tea works well for your health. Scientists have found that adding milk to your tea actually detracts from the health benefits. The article in New Scientist is here. One of the best things you can do if you are serious about your health is research where your tea comes from. I learned this trick in India and I think it makes a lot of sense. Pollution in the air and soil has a massive effect on how healthy your tea is – places like China and India have a lot of air pollution. Try to source your tea from remote provinces in China and India – places higher in altitude. 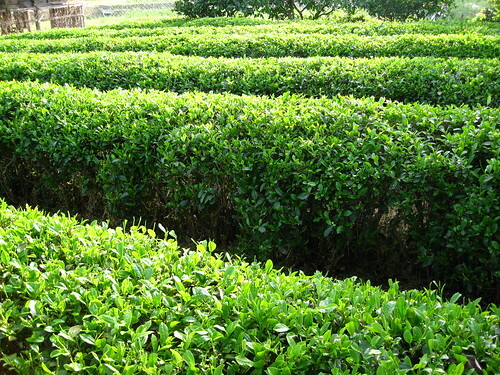 As a general rule Chinese Green Tea’s grow in higher areas. Sugar is like a leech. It has so many negative effects on the body and you should avoid it at all costs. If you can cut out or reduce the amount of sugar that you put in your tea you will be doing your body a big favor. I thought I would show you my favorite tea. If you haven’t ever tried it I encourage you to give it a go. I always buy Dilmah if I can because they are one of the most ethical companies on the planet. I heard a lot of good things about Dilmah when I was in India and then again when I was in business school. Dilmah is a family owned company and is run very strictly by five pillars – Quality, Tradition, Ethics, the Customer and Integrity. They never put profit making before these pillars. And… the tea tastes excellent! They also put a lot of money into the local community, their workers and the medical community. You can buy some Dilmah green tea here. They make all types including fusions. My favorite is the Jasmine Infused Green Tea. How much tea do you drink? I would love to know how much tea the readers of The Daily Mind drink. I myself usually only have one or two cups a day because I find that too many more affects how well I sleep. That being said, I am a very big advocate of tea and would encourage everyone to start drinking more. Leave us a comment and tell us how many cups you drink and what type of tea is your favorite? Loved it, a well researched and succinct article of outstanding provenance confirming something I have expected for sometime, that tea does in fact help you focus better than coffee does. Thanks Alex. Glad you liked it. I think the jury is out on antioxidants as a whole. Some books I have read believe that they aren’t as wonderful as we believe them to be. I guess that is why moderation is important – we never are 100% certain that what we are eating is doing us good – especially because science changes it position with every study. Nice. What are you drinking? Lots of caffeine in that one! You studying late? Did you see the bit in the article about milk? Ah! Obviously I have quite an affinity for tea, not that anyone could guess this from my username. I drink green tea daily, but in the mornings I also have a cup or two of yerba mate, which is made from the leaves of the rainforest mate tree. It has a nice caffeine jolt but is a more balanced stimulant than coffee, so you can be wide awake without having racing thoughts and shaking like a chihuahua. Guayaki is the brand that I really like and their tea is fair trade and sustainably harvested—they are actually helping the rainforest with market-driven restoration. Wow. I can’t believe I just wrote that much about my daily tea consumption. Hehe. GreenTea – thanks for the information about fair trade. That is really important to me. This tea information helped me with this homework and im pretty sure i will make a high score. Thanks a lot! I started drinking Green tea for “boosting my brain”. I appreciate learning from you the other health benefits – especially losing weight – about drinking tea and will switch my morning coffee for a morning tea. I only wonder if the flavored green teas are just as good as straight green tea or should I switch? Antionette – Glad we could help. Ryan – The pure teas are supposed to be healthier but I think a flavored one would be okay if it helps you to drink it more often. Wow – I’ve been drinking tea with milk my whole life, but now will be more mindful about skipping the milk. Thanks for that tidbit, I didn’t know it made any difference…I even put milk in my green tea! CK – thanks for commenting. Glad you learned something. Hello, I’m 24, in college, with a low budget. Is buying Earl Grey or Lipton going to benefit me? Is there another brand which is better? My main reason for drinking green/black tea are the heart benefits and losing weight. If these brands aren’t really benefiting me, is there a disadvantage (i.e. pollution, effecting my metabolism)? Im young adult 21 years of age and Im starting to eat a healthier diet including tea, I have a question though, do the flavored teas like vanilla strawberry, manzanilla mint or green tea with lemon have the original green tea leaf inside of the packets ( I buy packets) I am kinda tea new to drinking tea and quiting beverages like soda pop. I have long been a fan of tea. For as long as I can think back I have always enjoyed the Arizona Iced teas you can buy from gas stations. Recently however, I have been gaining a notable amount of weight. I decided it was the tea and the amount of sugar in each can. A buddy of mine gave me an iced tea maker not to long ago. I have been averaging around 3qts of tea every 24 hours. No sugar is added. Is that too much? hi,my names mhammad and I drink 15 cups in a day,so I want you to tell me that how benefits that I get??????????? I usually drink black tea of TajMahal brand from India. You must have heard of this brand and it is very popular in India. Although sometimes I use tea bags, I kinda feel less like tea. I recently had a heart attack. I stopped drinking alcohol in any form – do not drink coffee and only drink one caffeine free soda daily. I have found I can’t get enough of iced tea that I brew with an artificial sweetener. I drink about a quart a day. Is this harmful to me? I just really enjoy it and find I have no desire for alcohol which I consumed in fairly large amounts prior to the heart attack. I have absolutely no desire for it now. Any information or suggestions would be helpful. I need to know the effect of drinking only yellow lipton tea. Appreciated the information! I’m a nursing mom and water is my main drink, however every now and then I want something with a little taste to it and tea is my ‘go to’! I wasn’t aware of how high in caffeine sit was. What I eat/drink my baby does, so I know to be careful with it now!